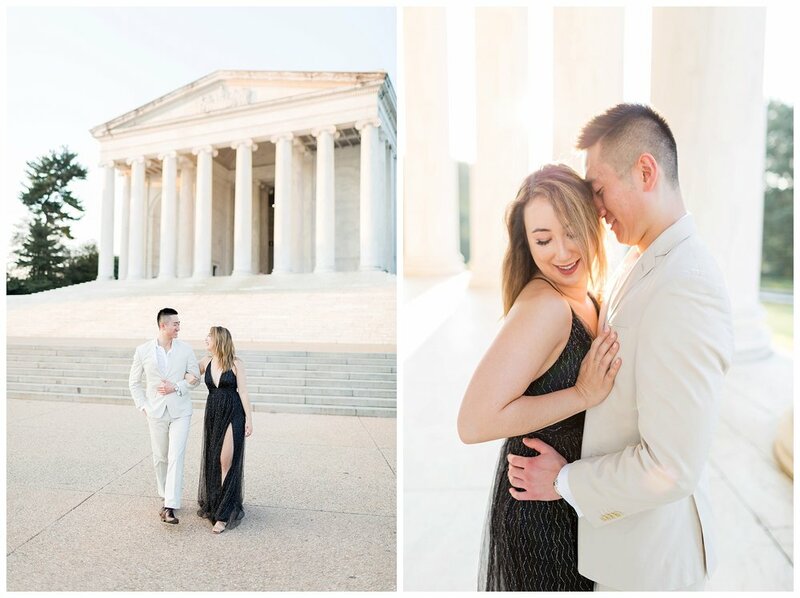 Christina and Shaun messaged me about snapping their engagement photos this summer. 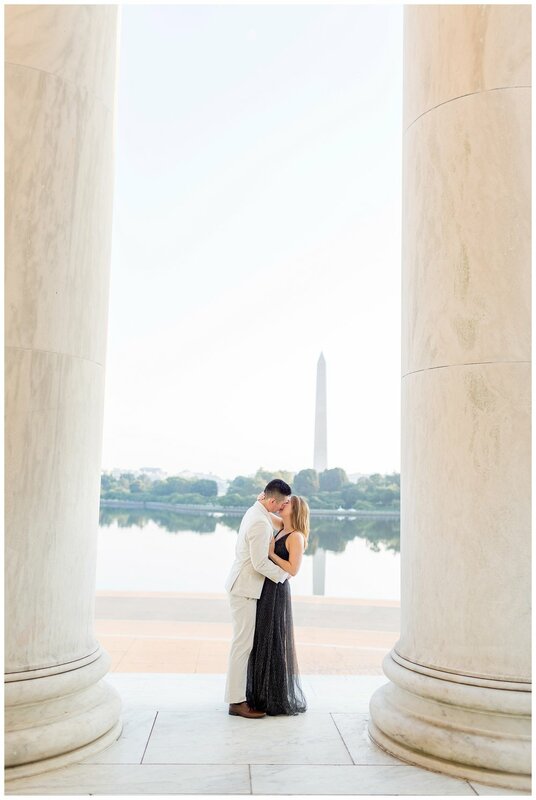 The two actually live in Chicago (where they got engaged) but their love story began in DC. 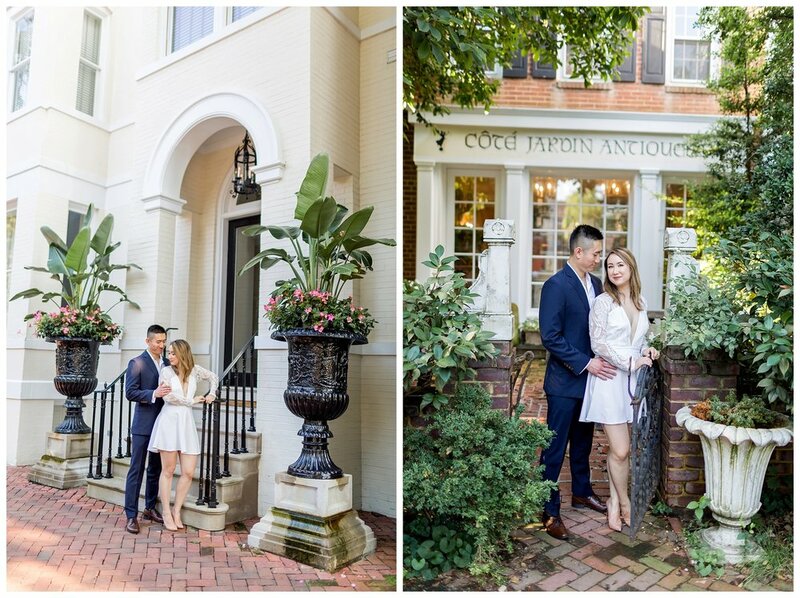 They had their first date at Cylde's in the district and their love story grew, eventually leading them to their life together in Illinois. 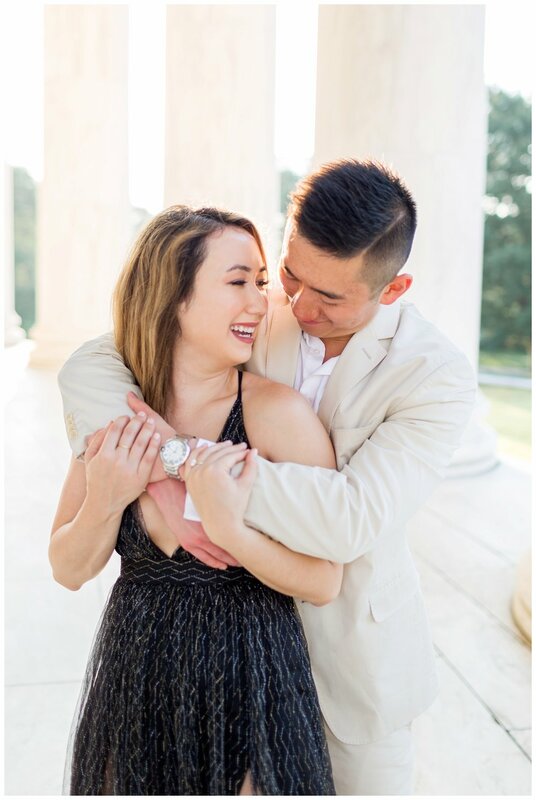 Shaun proposed the day before her birthday over dinner before meeting a bunch of their close friends to celebrate. 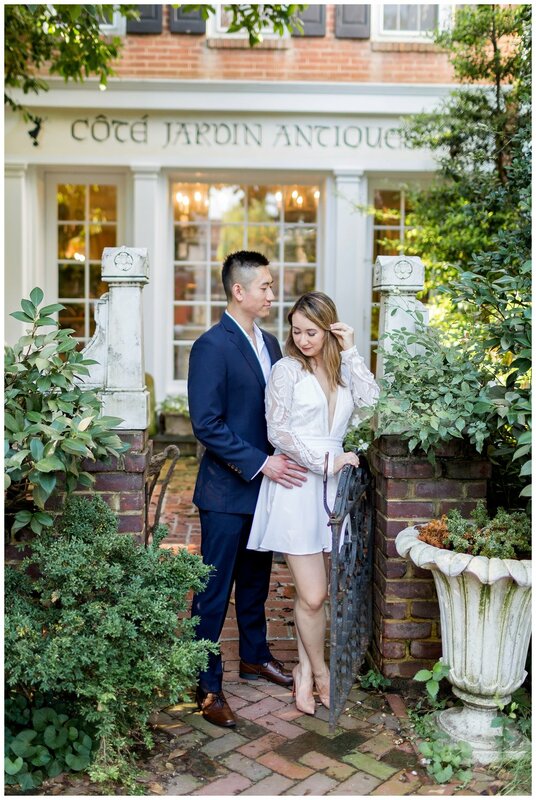 Christina and Shaun are now planning their wedding in Atlanta where Shaun is originally from. 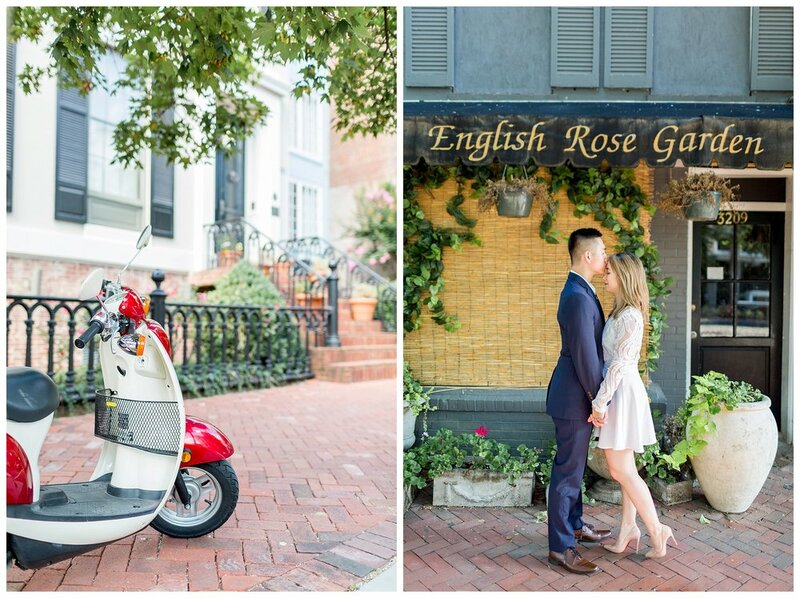 Talk about a traveling couple! 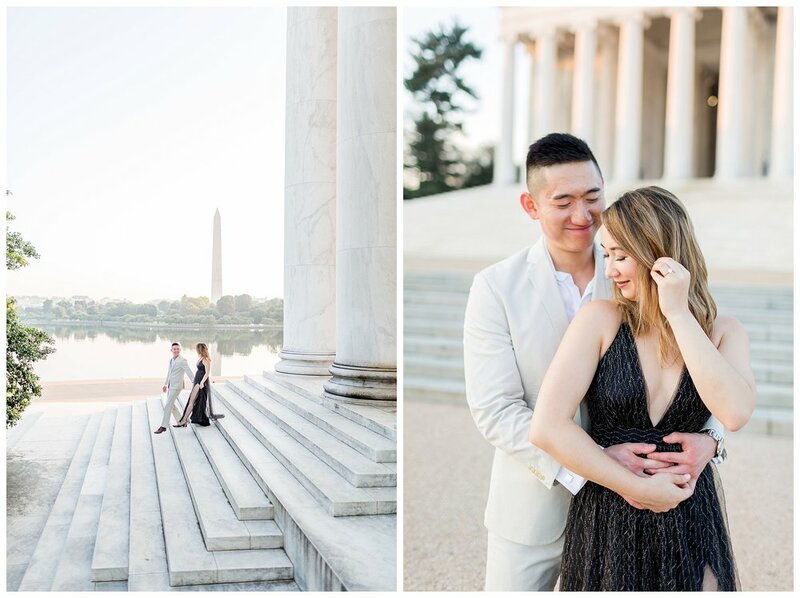 Before their session, they both knew they wanted classic DC engagement photos at the Jefferson memorial but with a hint of a more casual neighborhood vibe. 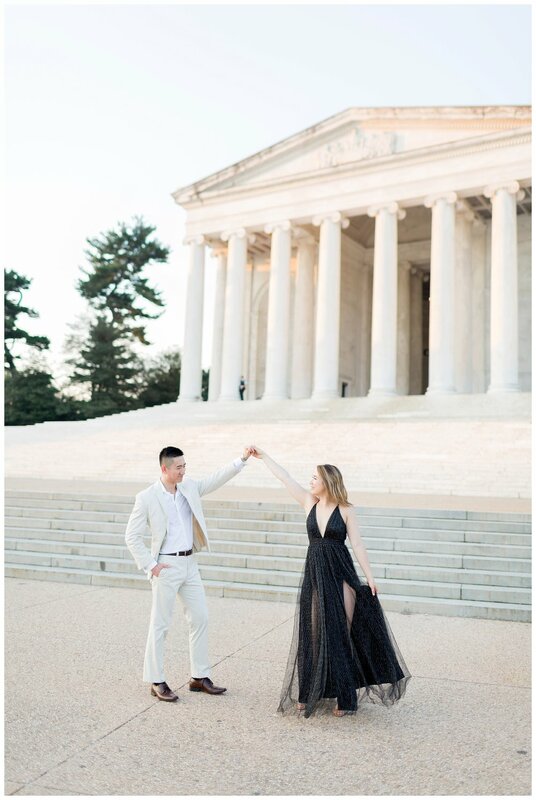 Christina and I have the same style and taste in clothing so when I suggested Georgetown, she was all for it! 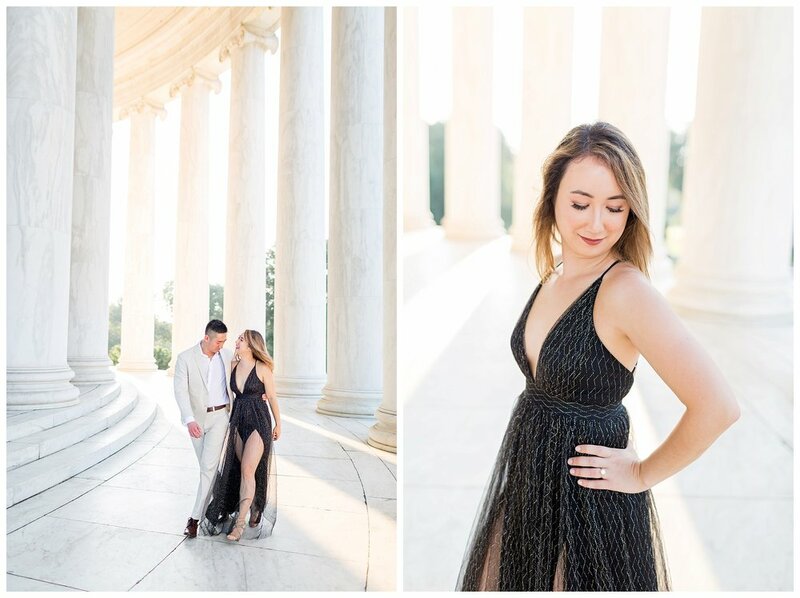 See some of my favorite snaps below. 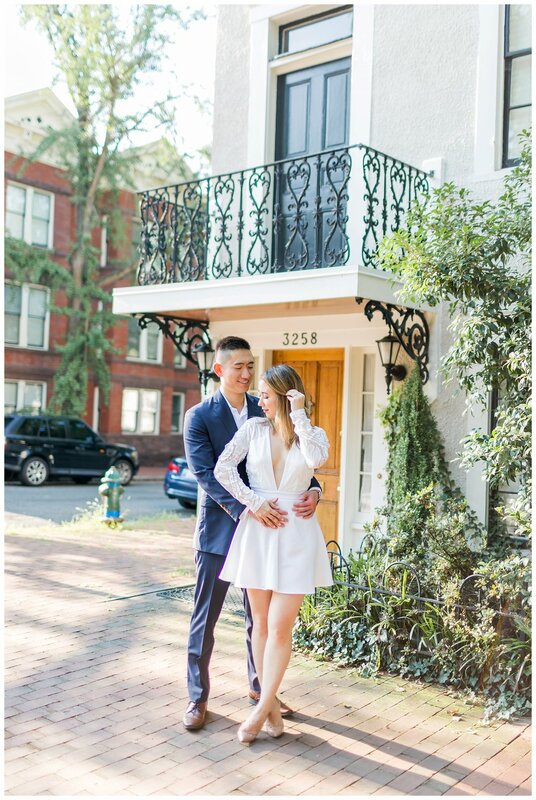 Doesn't DC look like Paris here! ?